Ralph Waldo, this is crazy-making advice. Because breaking a trail might require a machete or snow shoes or a 75 foot sailboat. At the very least it will require slipping a few knots of behavior that have been a support. As I look around my circle of friends, so many of us are not where we thought we’d be. Sometimes better and sometimes worse, but going where the path took us or leaving a trail, neither ends up being all that sedate or comfortable. Challenge finds us, whether we’re on top of a mountain or reading in the living room. For me, it’s about regret. I’ve been planning ahead to avoid it since I was a kid. So I followed that random thought that returned again and again, and I wrote the book. Now I find myself, 60 years old, and waiting for a grade on some extra-credit homework I turned in. What a world. We were snowbound all weekend; the weather seems a bit overly dramatic for this update. One more rejection letter this week–I notice that the rejection form letters I have gotten are all well-written and kind. No offense intended and none taken. I also got an email from a publisher saying my submission had fallen through the cracks. See? My worst fear realized. She asked if my manuscript was still available; if so, she would forward it to the editorial committee. So it’s day one for me at that publisher. Sometimes I think I’m too old for this. I can’t remember the last time I placed something this valuable to me in the hands of strangers. It gives me way too much time to think about paths. Is there some age where we stop talking about dreams? Some age where gravity outweighs the ‘what if’ question? Or where feeling as vulnerable as I do right now just isn’t worth it? Last week, I asked what you were all reading and was rewarded with a reading list I will be chipping away at for months. Thank you. Really. This week I have a much more personal question: Is there a patch of open ground you are drawn towards? How do you balance dreams, regrets, and everyday life? Such a thought provoking post and great picture of our girl! She is lovely, every single day. I think your path might be working for you, too. I love your article, Anna…as always! For me, I stopped playing the “what if” game long ago, because I realized deep inside that all along, I’ve been doing the very best I can. And with the perspective of many years, I can see that even if I thought things were awful at the time, they always turned out to be fine. Maybe not the way I’d hoped, but fine. I have come to Trust that I am always divinely guided and supported–even when I don’t feel that in the moment. Which is what also helps me balance the contrast between my dreams and my current everyday life. What really matters is the feelings that our dreams bring us. Whether it is a goal, thing, or place we are longing for, ultimately what we crave is the feelings we hope would accompany it. So I’m learning how to generate those feelings for myself right here and right now, so I can enjoy my life far more fully even when it has turned out to be far from the dreams of my past. And books are very much like children…they are birthed from your heart and soul. So it is normal to be feeling vulnerable with your “offspring” out there essentially being judged. If I were in your shoes, I would be reminding myself of all the very famous authors who received LOADS of rejections before their works were published. And to know that you have quite a few dedicated fans right now, eager to read your “baby”! Maybe put some of those authors names on your board to see daily…and let them work their magic to transmute your current feelings into expectancy and excitement…. What a great comment. I guess the word I think of is wisdom. What either of us thought when we were 20 was different (and you were riding a big dream at that age) and now I hope the experience of those early dreams gives wisdom to this experience now. I do chuckle at the term ‘baby’. It’s the exact reason I am so disoriented! The regrets I have are few and thankfully they do not last long for me. Stuff that I regret, interestingly, is usually ‘in the moment’ regrets, I realize that regrets are usually from events or actions from our past; I break that mold; I can identify when I am lacking in what I will be regretting now. Things like not being productive enough. Not being able to put two words together to write, seemingly not being able to get out of my own way. I have to laugh at myself later, when I come out of regret-land as I know that if I have patience and instead of ‘willing’ these things to happen, they will come to me when my mind is not racing and I am not beating myself up about it. Happened last night. After a long snowy weekend of not being able to write or do anything that I would have considered productive, I woke from my sleep and got not only one but two ideas for more writing. Most writers would have jumped right up and got going on it. Not me, I am not being the typical writer, either. I could not make myself get up and to the keyboard, but I did scribble down some thoughts on my bedside table. I am grateful for that moment and will work on that yield in short order. I just now read an article about compulsion training (prong or shock collars on dogs) and your comment here tells me that you are using a much more positive ‘training’ method on yourself. Good girl! Again, sounds like wisdom. Like you, I make the note and trust myself till morning. It isn’t a race. Thanks, Vicki. Profound thoughts both in the original writing and the comments. You have surrounded yourself with wonderful, wise friends. Years ago a veterinarian friend tried to convince me to go to vet school I pointed out I’d be more than 30 years old when I graduated. He reminded me I’d be 30 whether I went to vet school or not. I didn’t go, that wasn’t my path. I’ve stumbled my way forward throughout the decades since and now remind myself I can either be at the end of my days or at the beginning of yet another new adventure. I choose beginnings over endings. I so agree with you, and it can be as simple as naming it beginning or end. The tough part comes before that, in letting yourself choose. Not everyone thinks that’s possible. Thanks, Monica. A Roman Catholic nun once said, “Faith is one foot in the air, one foot on the ground, and a queezy feeling in the stomach.” Pretty much sums up life. Annihilate any self-delusion by seeing reality through the eyes of God. Avoid the “paralysis of analysis”. Embrace those “surprised by joy” moments that C.S. Lewis described. They are God’s remedy for regrets and the “I’ll be happy when..” game. Know that you are loved. Thus equipped, you can overcome anything! Well, it’s only going to get more “interesting” as you say. Thanks for noticing that my slip is showing. I do feel vulnerable, but I’ve competed horses, I’m used to being humiliated in public while pursuing my passion. Thanks, Chris. I appreciate your support. “Is there some age where we stop talking about dreams? ” I wonder about that too. I hope not. Maybe our dreams change. My younger self wanted to be a poet but I let fear push me down a different path. There were children to raise (single parent), a mortgage and bills to pay. There was always something to distract me from facing my fear of failure. 17 years ago, on my 40th birthday, I realized I was no longer eligible for a “younger poets” award I dreamed of winning. Of course, the truth I had to face was I wasn’t eligible before 40 because I was no longer trying to publish or writing much for that matter. I was far away from the poetry and literature I loved in college and grad school. I let the kite string go without knowing it. It was a hard realization. I admire you and your courage for following your dream. Have faith! I don’t have kids, but I have to consider raising them as art. Doing it alone must be like doing it with a gun to your head–Don’t sell yourself short. I admire you and your courage as well. Publishers still have age breaks in publishing- I am older than all of them at 60. It is always a give and take; a choice. The time I took to write was dearly paid for. I think it’s supposed to be that way, because life is precious. And who knows what is yet to be written by you and your children. I always seem to choose the path that makes the least sense, and it works for me. I have never really done things the way I was “supposed” to do them. When it comes to major life decisions, things have always turned out better when I followed my heart and intuition over logic and everyone else told me to do. 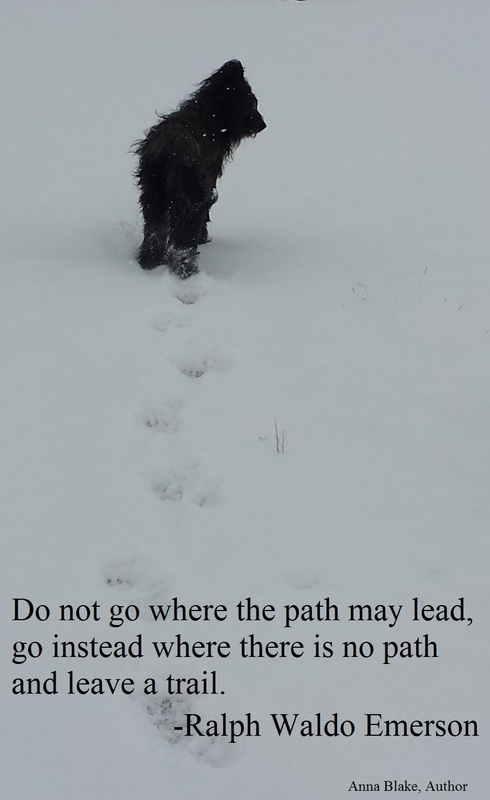 One of my favorite quotes is from Robert Frost’s “The Road Not Taken.” — “Two roads diverged in a wood, and I – I took the one less traveled by, And that has made all the difference.” I feel like that pretty much describes my life up to this point!! Best of luck with your book! A favorite quote of mind as well, thanks for the comment. What I’ve staked my happiness on, is that those things will never stop, but I’ll simply become more adept and more natural at embracing them when they occur. I can’t imagine life without performing the actions that cause those moments; so I have to trust that it’s in accepting the repercussions, that I someday become more gifted. Great comment, it sounds like a recipe for no regrets. I notice for me the ‘repercussions’ have evolved since when I was younger. Thank you.